In a week that saw his signing to Premier Boxing Champions and a potential January showdown with Adrien Broner, Manny Pacquiao was also invited to speak to Oxford’s debating society, the Oxford Union. 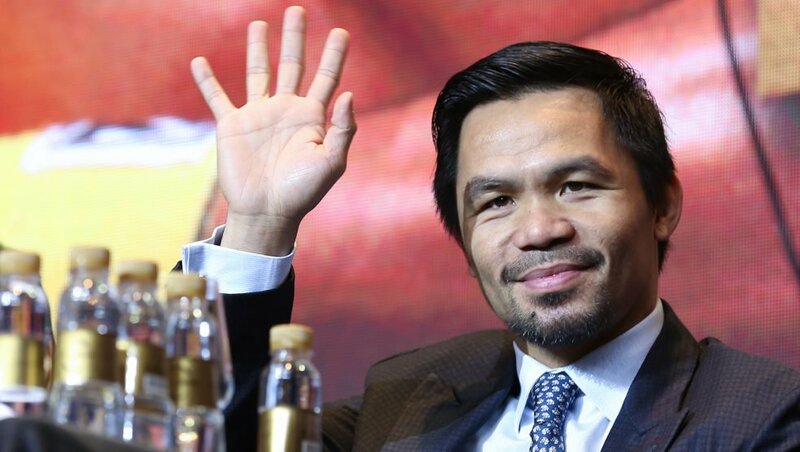 Pacquiao will address the University’s debate society on November 5th, while negotiations are still on-going for his potential WBA welterweight title defense against Adrien Broner in January. The Oxford Union, established in 1823 has played host to such names as Winston Churchill, Robert Kennedy, Ronald Reagan, Jimmy Carter, Bill Clinton, Mother Teresa, Benazir Bhutto, Margaret Thatcher, Henry Kissinger, Madeleine Albright, John McCain, Yasser Arafat and Albert Einstein, among fellow athletes as Diego Maradona, Boris Becker, and boxers George Foreman, David Haye, Vitali Klitschko and Chris Eubank. Oxford Union President Stephen Horvath said Pacquiao’s presence will continue the “fine tradition” of the society hosting world leaders in various fields. “As the first and only eight-division world champion and the winner of 11 world titles, your legacy as a world champion professional boxer is unmatched,” said Horvath. “Your strategic brilliance and your remarkable speed make you a truly legendary fighter. We would be delighted to hear more about how you stood above the characteristic trash-talking of big fights to stay focused on winning. You have applied this determination and endurance to your political career as well, overcoming an initial setback in your first election to become a widely-popular and respected Senator.